Always looking for something a little different, what about the Singing Ringing Tree, on the moors above Burnley. The Singing Ringing Tree is aptly named. 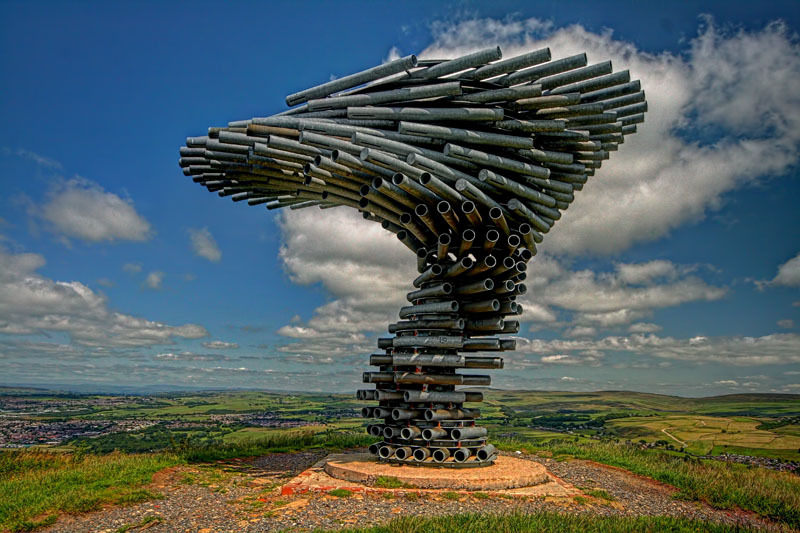 A 3-meter-tall, wind-powered musical sculpture made of galvanized steel pipes, it stands high above the English town of Burnley. The pipes swirl to form the shape of a tree bent and blown by the wind, and produce an eerie, melodious hum as the constant wind on Crown Point drifts through them. Click on the image to view the Virtual Tour, ensure your speakers are turned on.